Opportunities like this do not come along often in one’s career, so when the opportunity came to share my story as part of an advertising campaign for a service I use, I took it. Backup for just a second and let me give you some background information. A couple of years ago, I registered with a website that provides various learning tools to authors called https://www.authorlearningcenter.com. This website is home to a plethora of webinars, podcasts and whitepapers to help aspiring authors along their journey regardless of where they are in that journey. I originally tried it because I was looking for ideas and ways to build my brand. What I found was way more than that. The site is constantly adding new content and ways to help authors continue to pursue their craft and be more successful in it. One of the fun features the site has is called the “Book Launch Tool.” It’s essentially timeline tool that helps you track your progress through the book creation and publishing process. I’ve been using it on my last two book projects and while it hasn’t necessarily changed the way I write, it does help me keep on track and get a realistic picture of where I am on any given project. A month or so ago, someone from Author Learning Center contacted me about being part of an advertising campaign on YouTube. They wanted to know if they could include my journey as part of a ad that would run. It seemed like a no-brainer to me and so I answered a series of questions and shared with them some photos and what you see is attached is what is running. I say all of this to encourage any of my author followers to check out the site. They have a 30 day free-trial option that gives you pretty much access to all of the features and after that its like $10 a month. They are always adding new content and features. There’s even a way to reach out to other authors and create circles that can be used to bounce ideas and review works in progress. On another note, now that November is here that means Christmas cannot be far behind. 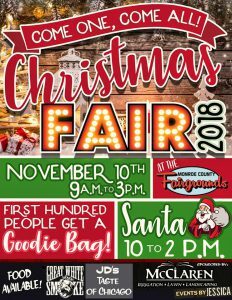 My last event of the year where you can get an autographed signed copy of my book or meet me in person will be at the ever growing Christmas at The Fairgrounds Event at the Monroe County Fairgrounds on Saturday November 10th. After this, we will be taking a break from events for a few months as we try to finish up book 5. In the meantime, I hope to roll out a Silverwood Chronciles prologue piece, Free to the internet, by Christmas. This summer has been amazingly busy for me and the creative consultant. 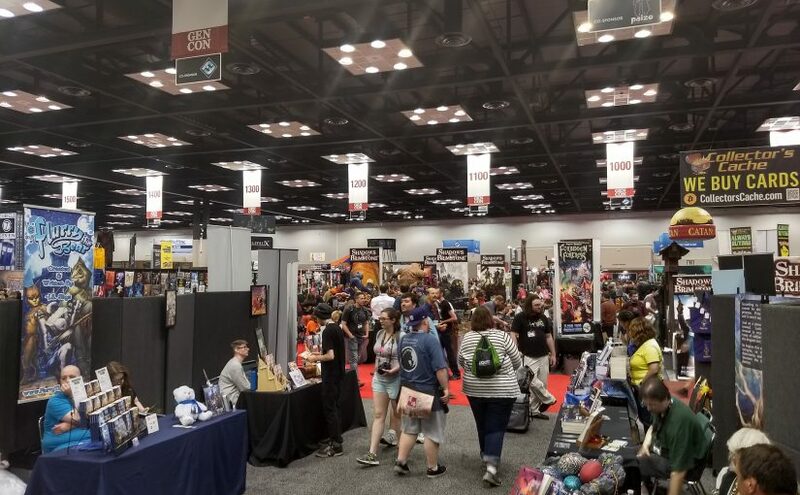 There have been a number of events that we’ve attended both locally and abroad not the least of which was GenCon 2018, but more on that later. The highlight of the summer thus far has to be my recent trip to India. Because of recent changes in my job, I was given the opportunity to travel to our remote partner’s office in Cochi India. It was here that I got to meet, some for the first time, around 30 co-workers who partner with my organization to support our IT department. Many of these fine people I’ve had the pleasure to talk to for years via internet conferencing, but I have never met face to face. The seven days I spent there were both amazing and overwhelming as my friends treated me like a superstar. Most of them knew that I had written several books, and a few lucky (or unlucky, depending on your perspective) had received copies of one of my books. In an effort to set things straight, I had planned a surprise for them. I had ordered in advance a case of books and had them drop shipped directly to the office there. Then during my last day there, I treated the team to donuts and a complementary book signing. View all the pictures here. Signing a flurry of books for my friends. Everybody, had a great time and everybody got at least one of my books. There was one special individual who went above and beyond the call of duty during my trip there and made my stay a world-class affair. Arjun earned, and that’s putting it lightly, a full set of the Silverwood Chronicles. Arjun holding his Silverwood Chronicles Set. In case you noticed, it also coincided with a traditional celebration at the office, so in the spirit of cooperation, I dressed up in a traditional dhoti. You can go to my India Gallery to see many more of my friends. 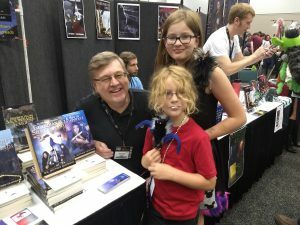 A close second to this was my opportunity to show my books at GenCon 2018, the greatest four days of gaming. 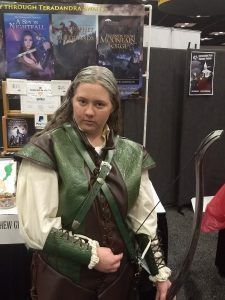 The CC (creative consultant) stepped up her game and cosplayed Taya from the Silverwood Chronicles. We also meet some repeat friends from the recent InconJunction event who were ready to by the next book in the series. the form of a TARDIS (Dr. Who’s famous time machine). We got hours of comedy from the fact that no matter how hard Nathan tried, guests at his table were intimidated by the candy offered and had to be compelled to open the lid and see that there was indeed candy inside for the taking. Thanks Nathan Marchand for the many laughs and being a great sport about it. Coming up next is MakeVention and the Indy Toy and Comic Expo at the Bloomington Convention Center, August 25 and 26th. Come see us there if you can. Posted on August 21, 2018 August 21, 2018 Categories Silverwood Chronicles Update, WritingsLeave a comment on Busy, Busy, Busy, and then some! I somehow managed to make it through the entire month of April without posting, well almost. I should probably explain. The month started out with my first book signing event which included a demo on Do-It-Yourself board game design at the fan run Who’s Yer Con and Indypendent Creator show. However, due to some – I am sure unforeseen scheduling oversights (one being Easter Sunday and another being Comic Con was going on downtown) — the attendance for the show was less than exciting. 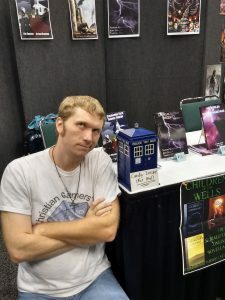 I did meet a few new friends there and generally had a good time, but the event was not what I or any of the other artists and authors were hoping for. Needless to say, I had put a lot of energy and time into preparing for it, so I spent the next week recuperating (some would say brooding). That very next weekend an event involving my son which could have cost him his life, and I spent several days in the hospital with him. But God is good, and my son is going to recover fully. Somewhere in this chaos we call life, book four of the Silverwood Chronicles was released with little to no fanfare. I am playing catch-up now, and all of you should know by now of the exciting news. (The roar of the crowd is deafening) Soft covers are in stock as I write this post and hard covers should be available later this week. My next opportunity to meet new friends is coming up at Indy Pop Con, June 8-10. This will by far be the biggest event I have participated in, and should be an excellent trial-run for Gen Con coming up in August. Somewhere in there I hope to be a part of InConjunction, but details for that event are still pending. Having gone through this episode with my youngest, and having an equally traumatic experience with my oldest almost 24 years prior to the day, I remembered that the most important things in this life are the people we spend it with. It’s not about things we have or the places we visited or the schools we attended or the degrees we’ve earned; those have very limited value in the grand scheme of things. It is the relationships we have with those we love including but not limited to, our family, friends and our God, that will bring us true contentment and satisfaction. Those other things — meh — they won’t mind that you pour yourself into people. I am looking forward to hearing what you think of the Friends From Mountain Forge. Let me know, please! My first event for 2018 is quickly approaching. I will be signing books as part of the Indypendent Creator Show on the last day of Who’s Yer Con on April 1st at the Wyndham West in Indianapolis. You can find more details on the events page of the Silverwood Chronicles Facebook page. During the show, I will be doing a break-out session / workshop on DIY Board Game design. I am looking forward to interacting with anyone who has a board game idea or would find it interesting to publish their own board game. 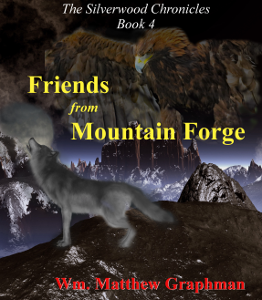 Book Four: Friends From Mountain Forge is now in production and will be available soon! I cannot wait to share this adventure with you all. There are several chapters in this book that I think are some of my favorite scenes yet. Certainly the most memorable chapter has Rift risking his life to save his friends in a fight to the death against four rogue Battle Wolves. Should I feel weird that I notice a tear form in my eye by the time I reach the end of the chapter? This is a very exciting post for me. Book Four is currently in the revision stages with edits and comments flying in from all over the place. The army of editors and proofreaders that are pouring over the manuscript have been providing some amazing feedback which I can only be thankful for. I am hoping to have most of the reviews back to me in the next week or so. In either case, I plan on working on the next revision starting either this weekend or on Monday at the latest. The goal is to have the book ready for production by the end of February at the latest. I am also excited about the prospects of some upcoming book signing events that I have been working on. The next event I will be at is the INDYpendent Creator Show on April 1st. This event is part of the larger Who’s Yer Con 10 which will be held at the Wyndham West Hotel in Indianapolis on March 30 – April 1. There will be artist, authors and comic book creators from all over and should be an exciting time. The overall event is a great family gaming event, and you simply cannot beat the admission price — FREE. The next event that I am working on, but have not finalized, is InConJunction, July 6-8 at the Indianapolis Marriott East. I am awaiting confirmation for the event, but everything is looking promising. I will share more details about this event as it gets closer. The last event I will share with you could be a game changer for me. I have submitted an application for the author’s avenue at this year’s GenCon. Some of you may not know this, but it is the largest event of its kind and it is held in Indianapolis every year. Last year’s attendance was over 200K. My application has been submitted, and I suspect that the review process as well as the competition for spots will be fierce. The opportunity to showcase The Silverwood Chronicles would be an enormous boost and something I’ve considered for the last two years. I’ll keep you posted as I know more. Finally, the remaining chapters of book five now have a rough outline. I hope to begin work on the draft very soon. Given GenCon’s August date, it is possible, although unlikely, that I could have it completed by then. Prayers are appreciated. Welcome to 2018. I know, I am a little late to the game. This should come as little surprise as those of you that know me understand I like to juggle many things at the same time. Some of you would say, and rightly so, too many things. While I’m not a big resolutions type of person, I do like to make plans. So, I’ve been thinking about what some goals would be for 2018. 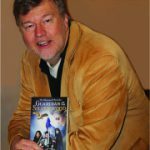 For purposes of this blog, I will focus on some goals I have for writing in general and The Silverwood Chronicles in particular. 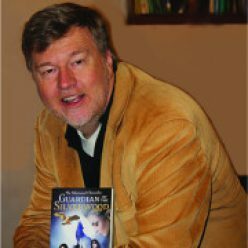 As I’ve tried to be clear whenever I talk about it, The Silverwood Chronicles was planned around five stories and book 5 is a little over half done. One major goal of mine will be to finish book 5 and get it out before the end of the year. I would be really happy to have it out by mid-summer, but more on that later. Book Four, is currently in the revision stages and should be out in the next couple of months. I am hopeful it will be available before spring. Another goal I have for myself is to move into some new venues for promotion of my books. Writing, I have discovered is hard, but not as hard as marketing. I have known for many years that I was lousy at marketing, and I am just now realizing that without lots of spare cash, its up to me to make this thing happen . . . or not. Therefore, if anything spectacular is going to happen, I need to move things forward. This means searching out new avenues to make my works available. One major venue will be the 2018 GenCon Author’s Avenue. The application process opens up later this month, and I hope to be accepted. I have no idea what the competition for the few spots that they have available are, but getting into that venue could be a game changer. Another big opportunity is the annual Indiana Historical Societies Holiday Author Fair. For the last two years, I have known about this event, but I have been unsuccessful in securing the information necessary to apply for it. This year, my hope is to at least apply. I continue to search for other opportunities in and around Central Indiana. I am also looking for at least one, maybe more, chances to speak at an elementary or middle/high school setting. This gives me an opportunity not only to expand my exposure but to give back to the community and encourage children to write as well as read. I could use your help in this regards. If you are a part of a PTO, or have insight with a school board and can drop my information off, I would be very appreciative of it. The last goal I will share with you is discovering the “next thing.” Once The Silverwood Chronicles is done, I will be left with a vacuum of sorts. I hope to participate, as I have the last two years, in the National Novel Writing competition this coming November, but as of now, I am project-less for that event. I have a few ideas that I have shelved over the years that I could try to resurrect. One option is an old fantasy novel that is mostly done but needs serious updating or possibly a mystery that I have in mind. Thank you all for your continued support. I am getting very excited about book four’s upcoming release. I’ll share more with you on that as the time nears. Until then, happy reading! 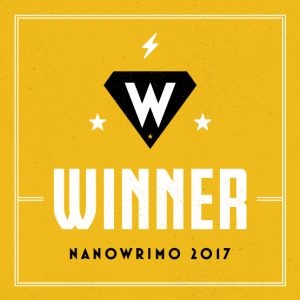 Fifty thousand, two hundred and forty-one (50,241) words later at 1:17 p.m. EST and this year’s NaNoWriMo competition is in the books — so to speak. As was last year’s WriMo, this has been a great jump-start to the next book in the Silverwood Chronicle series — Dayspring’s Heir (working title). Part of me wants to keep going and finish up the series, but Friends from Mountain Forge is waiting for revisions to begin which requires me. I now have to decide whether to shelve book five for a couple of months to get book four ready for publishing or finish out book five, first. On the one hand, I have the momentum going for book five and that is very useful. On the other hand, I have committed to myself and a few others to have book four out this winter and if I finish book five first, the likelihood that I will do both before April is unlikely. Still on the other hand . . . wait, I only have two hands. I will keep you posted on my direction after I take a slight break this weekend. I want to personally thank everyone who shared their supportive comments along the way, and to my family who made sacrifices all month long so I could have extended writing sessions everyday. One thing I have learned about NaNoWriMo, no matter the motivation, no matter the planning, expect bumps somewhere along the way. 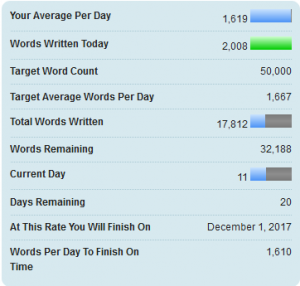 A quick update on the progress of book five and my NaNoWriMo challenge. As you can see by the attached graphic, I’m struggling to stay caught up this time around. The last weekend was busy with a gaming party and travel. The travel produced a significant amount of fatigue which has taken me a day or so to recover from. Now that I’m enjoying some warm weather in sunny Florida, I was able to get in a couple of good writing sessions. Some very exciting plot developments have occurred in Chapter 3 of Book Five. Even the author can be surprised once in a while when he discovers things he had not realized before. I think that is one of the joys of writing I love the most. I can have so much of the story planned out, but in the midst of writing it, I can will come across some facts or information that I had never considered or even realized where there until I had put them down on paper (digitally speaking of course). I should be two-thirds of the way done today — 35k words — instead I’m just about three-fifths done. Thank you to my family for working with me through vacation and allowing me some extra time. Well, I am going to go have some fun with them right now. I will get back to writing this evening. NaNoWriMo 2017 is well under way and I’m doing my best to stay on top of it. After a very long day at an event: Christmas at the Monroe County Fairgrounds, I still managed to craft 2008 words. A special thanks to all of the new friends I made today while at the event. I hope your journey into the world of Teradandra or the Chel & Riley Adventures is one that makes you smile. It was also great to meet some old friends. Nothing does an author better than to have someone walk up to you and go, “Oh yeah, I got these books last Christmas and I loved them!” I had that happen today, really! I think I even overheard one of this individuals companions go, you’ve read and read the books several times. It was all I could do not shout out loud. Needless to say, when I explained to her that there was now a book 3, she was all excited and quickly secured her copy. I also met with a couple of individuals in which some opportunities might open up for me to go into the schools and have an author talk with some elementary students. I will keep my fingers crossed. BIG ANNOUNCEMENT! Book 4’s first draft is complete! I was able to finish chapter 16 on Thursday. It will now have to sit patiently while I finish up NaNoWriMo before we can jump into revisions and production. So, maybe by Christmas or New Years I’ll be reaching out to my editorial army for your assistance once more. With Book 4’s manuscript wrapped up, that means I’ve rolled straight into book 5. Yes, you heard that right. 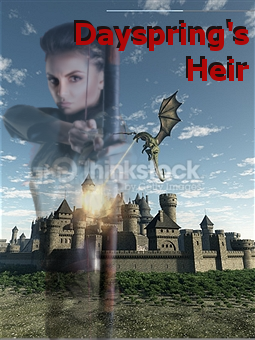 Today I began Chapter 1 of Book 5, Dayspring’s Heir (working title). This is it, the grand finale. I have so many exciting things planned for this book to conclude the series, I’m ready to bust. No spoilers today; however. Thank you for your support. If you are new to the Silverwood Chronicles or Chel & Riley Adventures, please message me and let me know how you’re enjoying the books. I’d like to hear from you. Blessings and Happy Thanksgiving to you and your families. I realized today that it has been nearly six months since my last post. Actually, I have known about the ever increasing gap in my posts for some time and that gap has summarily influenced me into extending the gap because of fear for what I would write. It is not like I have been on vacation on an island in the middle of the Caribbean, although that possibility certainly sounds enticing. I like all of you have been busy with life. The new term which I have heard tossed around is “adulting”. Six months of taking care of business (every day, taking care of business . . .) has left me with much less energy to spend time on the things that I love to do. This does not mean that I have stopped writing. On the contrary, if you happen across my website or sister Facebook page – Chel and Riley page – you will see that I took a little bit of time this spring to write a new adventure for the kiddie duo and even put on an event in which Chel and Riley acted out (more or less) the first three chapters of the new book. As a reward to those that attended, the children received a copy of the finalized story so they could read how the story ended. With Chel and Riley safely “Back to School”, I have turned my attention back to book four. I will be frank with you. The excitement I had hoped would come from the release of book three has not manifested itself. This has been a downer and my motivation to continue on has somewhat been dampened. This has caused me to struggle in picking up where I left off in March with book four. With roughly twelve chapters complete and over fifty-five thousand words written, I have spent the last few weeks realigning the book so as to get it back on track. This book started out out as a project for NaNoWriMo 2016, for which it successfully completed its goal. The problem was during the writing process, I was bouncing all over the story in order to keep on top of the word count. This comes from not having as complete an outline as I had in previous titles. So, I went back to the outline and finished out the book to help realign my progress and get me motivated again. All I need now is focus which for me comes by sitting down with my laptop in a semi-quiet atmosphere with at least 45 minutes to an hour of time. Anything less than that seems to be a waist as I cannot pull myself into the story in less than fifteen or twenty minutes. Ultimately, it comes back to writing the first sentence which takes me upwards of ten minutes when I sit down. I hope to allocate two to four writing sessions a week now until the book is done. In order for me to hit Christmas, I will need to have the rough draft completed by the end of September. This can be accomplished, but I will need prayers and encouragement from any that read this post. Along with that, fall brings with it festivals and opportunities of all shapes to promote my work. 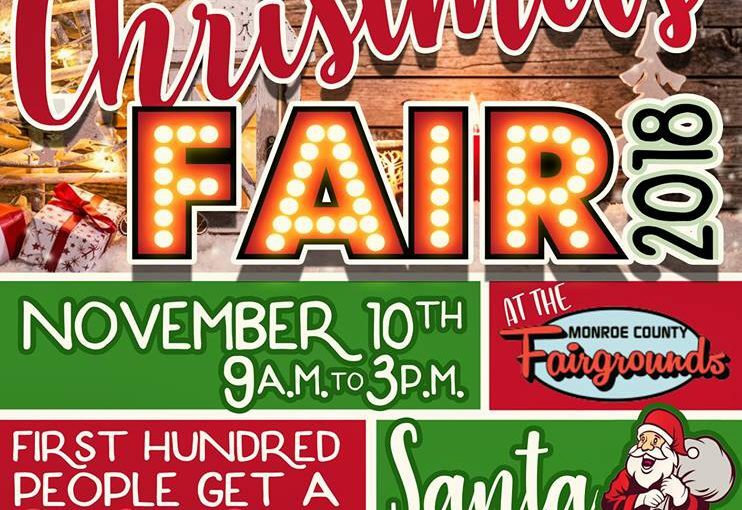 I will try to give you more details in future posts of upcoming events that I will be attending, but for now, the main two events I have scheduled is the Greenwood Public Library Author Fair in October and the Christmas at the Fairgrounds at the Monroe County Fairgrounds in November. More details to come. Thanks for sticking with me. I look forward to exciting progress reports on book four very soon. As always, happy reading!